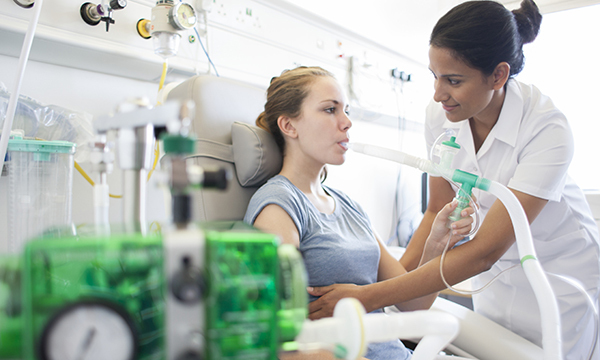 Parents of children with cystic fibrosis are usually heavily involved in the management of their child’s care. This article reviews a study of what information they need when their child moves to adult services. To identify the information needs of parents of young people with cystic fibrosis on the process of transition to adult services and examine to what extent these needs are being met by healthcare professionals. The database manager of voluntary organisation Cystic Fibrosis Ireland conducted a ten-minute semi-structured survey online in summer 2015, using SurveyMonkey. It targeted 190 parents of young people aged 13-25 years through the charity’s email lists, its Facebook page and Twitter account. An eight-item transition survey for caregivers and a 17-item healthcare transition feedback survey for parents or caregivers were used to determine parents’ views on the transition and the extent of information sharing. A total of 59 parents (42 female, 17 male) aged 22-62 years (mean age 48.3 years) completed the online questionnaire, which was a 31% response rate. Most of the young people were aged 14-23 years and split almost equally between child and adult services. A total of 86% of the parents who responded wanted transition information when their children were aged 12-17 years. They felt the main point was differences between the services. Most parents felt they were listened to and could understand the information that was provided. Two parents acknowledged the huge differences between child and adult services. Parents need sufficient information from healthcare professionals to support their children better when they make the transition to adult services. Starting transition discussions early, particularly to ensure that parents are fully aware of the differences between the services and the anticipated change in the role of the parent, could support a smoother transition to self-management. Parents act as advocates for their child, alongside nursing staff, and due to the nature of the disease are usually heavily involved in its management. Parents felt more anxiety than the young people themselves about the transition to adult care (Coyne et al 2017). They worried how capable their children would be of self-management and expressed reluctance to relinquish their role as a carer. Coyne et al (2018) recruited equal numbers of parents involved with child and adult cystic fibrosis services, and sought information about the transition process. It became evident that talks about the transition need to take place earlier than is the current practice to give parents time to prepare. Some parents felt the most important point that needed to be discussed was the difference between the services, in particular support for self-management and treatment. A smaller number felt that empowering young people with knowledge and understanding of the condition should be the priority. Parents whose children had transferred to adult services were asked to reflect on the process, with those who had positive experiences saying the key points were adequate preparation time and continuity of staff. Although Coyne et al (2018) were disappointed with the low response rate to the survey, and acknowledge self-selecting bias as limiting factors about extending findings to parents of children with other chronic illnesses, they highlighted the importance of not overlooking parental anxiety during transition.